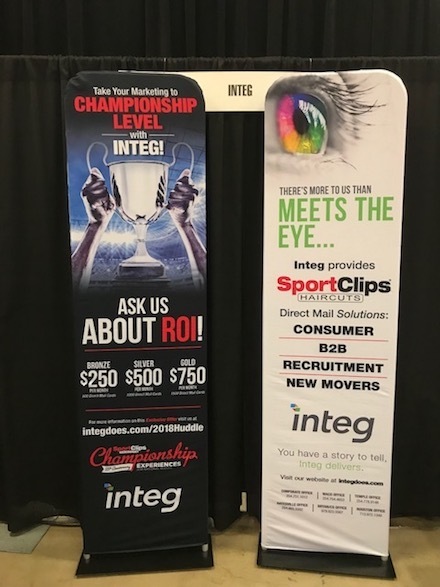 Every year Integ attends the SportClips Huddle National Convention to meet with franchise owners to market our direct mail marketing capabilities built specifically for their target market and audience. 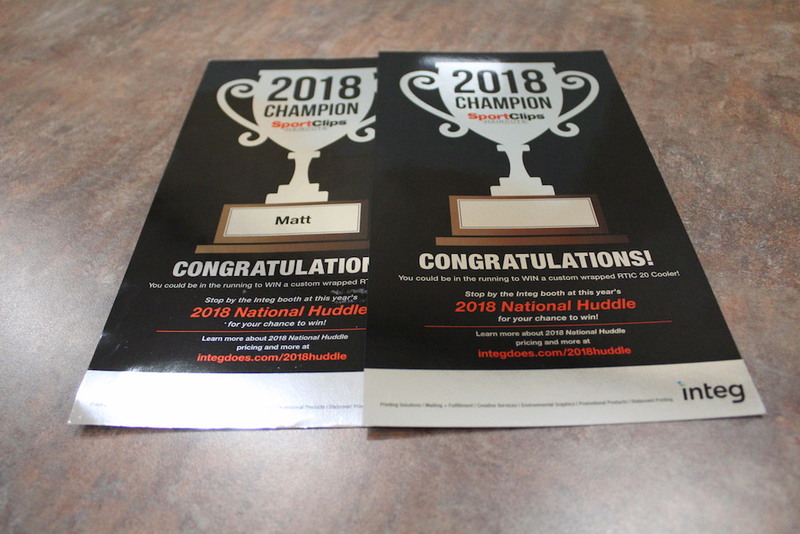 In preparation for this trade show, we wanted to showcase our capabilities with variable direct mail pieces that were personalized for each individual attending. We also wanted to enhance our booth with clean and crisp environmental graphics that made a show-stopping impact to passer-buyers at the convention. Below you’ll find 4 projects that made a statement and branded Integ as a “go-to” vendor that was remembered. The success of this event produced quality lead generation and increased our direct mail presence with franchise owners. This beautiful 11 x 6 postcard on GPA’s 12 pt. Silver Mirri board with a UV coating finish, drew attention in the mail offering “Wow!” factor that included a personalized greeting using our variable data capabilities. Several attendees brought this mailer to our booth; you know you’ve made an impression when your potential customers bring your mailer to your booth. 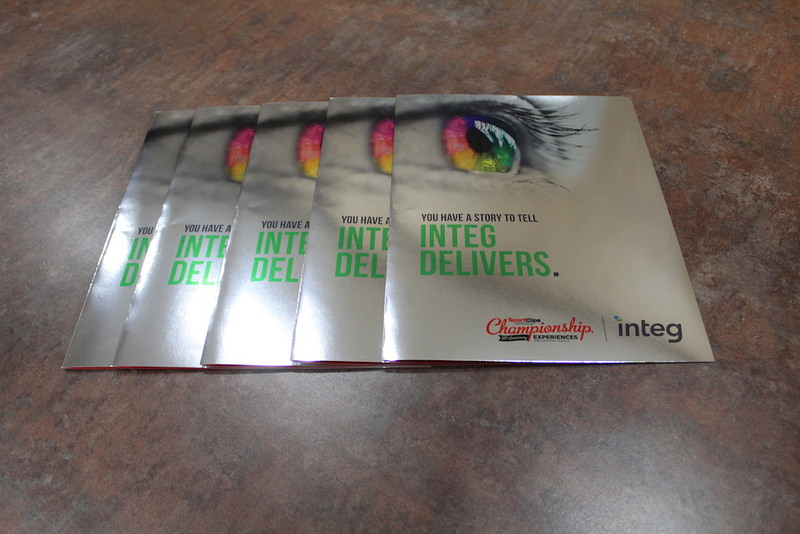 Integ is very happy with the outcome of the direct mail campaign, increasing the number of attendees to our booth, showcasing our variable data capabilities and displaying our expansive printing solutions for beautiful substrates like Silver Mirri Board. If you are looking to draw attendees to your trade show booth with a mailer invitation, contact us today to get started! 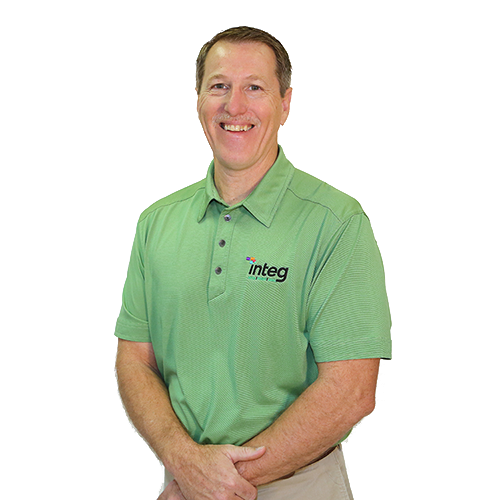 Integ provides services for your whole process, from creative and printing to quality mailing with The Integ Solution. We continued the ‘reflection look’ of the 12 pt. Silver Mirri board creating an unforgettable 17 x 11 folded brochure describing our packages created specifically for this event and explaining why we are the right solution to their needs. This brochure really catches your eye with its mirror-like appearance and beautiful artwork created by Integ’s Design Team. Printed by our craftsman on the HP Indigo Digital press, this is really a work of art and is one of the best representations of the Integ Solution from start to finish. This piece was also printing on 12 pt. Silver Mirri board and UV Coated for handling purposes. Our Creative Services Team inspired to create our own promotional item/collateral piece by creating a 3 x 12.5 ruler out of a unique 3D Azuna material. Since this substrate is so unique and highly desired, it ensured the user will want to hold on to the ruler for a long time. 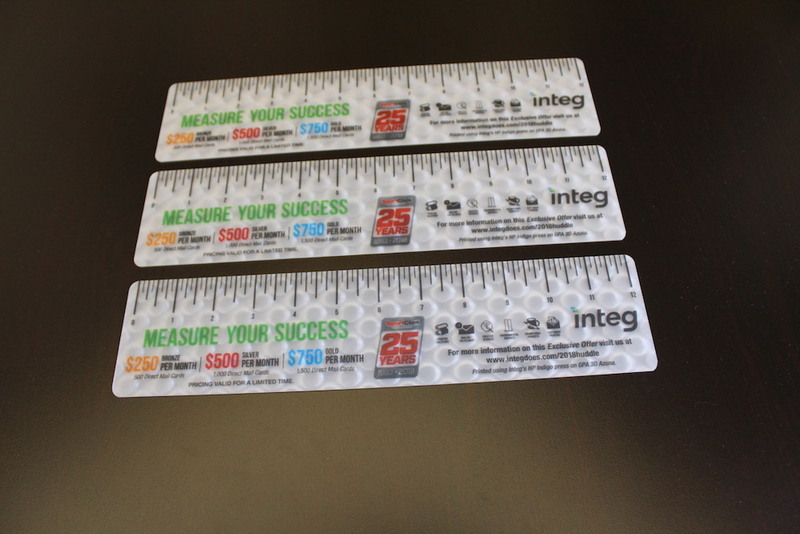 This ruler functioned as a tool for the potential customer but also contained vital information about our services and packages offered through Integ. This piece was very well received and attendees couldn’t stop looking at it. We chose Popsockets as our promotional product for this event due to the popularity and function of this highly-desired tech accessory. We had our logo imprinted on these pieces and love the idea of our brand literally being in the hands of our potential customers. Search over 1 million promotional products on our search site.